Traveling Friday. Will be soaking up the culture offered by NYC....The Met, Brother Jimmy's, etc. Goodyear Tire (GT) came in ahead of revenue and earnings expectations yesterday morning, yet the stock traded down almost 20% on the day. The selloff continued today, with the stock falling another 3% today on a B0fA downgrade, down significantly from the 18.00 level from last Friday. 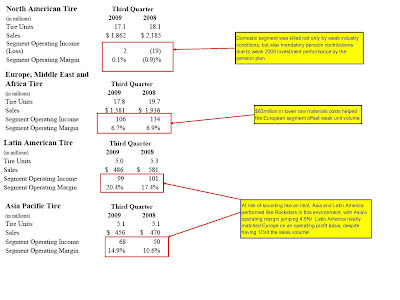 "In North America we expect Q4 segment operating income to be down approximately $75 to $125 million compared with Q3 reflecting first the impact of seasonal trends on unit sales and reduced activity from our other tire related businesses; second sequentially higher raw material costs compared to Q3; and third, timing of recognition of unabsorbed fixed costs related to production cuts, which is an adverse impact compared with Q3. Again Quarter 4 is essentially in line with our plan for 2009." "Unabsorbed fixed costs" is what had people scratching their heads. On the one hand, GT was bragging about the huge cost savings they'd achieved year to date. Then on the call they say that North American segment would go from a slight profit to a hundred million dollar loss to to extra employees sitting around. Inconsistent to say the least. Disappointment over the guidance is warranted, but the stock may have over-reacted. Management said that overseas performance would be quite similar to Q3, and a look at those results showed Asia and Latin America did a hell of a job picking up where North America left off. The stock's massive move off the $4 level in March probably included some extra optimism that was dashed by 4th quarter guidance. Interactive marketing firm Acxiom(ACXM) is up 15% today after reporting a decent quarter. After the close of trading on June 24th, they preannounced an ugly quarter, and I wrote that we should expect them to trade down when trading resumed and maybe buy some shares the next morning, which AlphaNinja investors did. We're sitting on a nice 27% gain, and there's room to go higher. Acxiom is by no means hitting the cover off the ball, but that's why we were able to pick up shares for a big Free Cash Flow Yield. -->>"several of our clients have indicated to us that they expect to increase their marketing spending during the second half of our fiscal year. This anticipated increase in client spending coupled with our continued emphasis on expense management gives us confidence that our second half operating income performance will improve over the first half of the fiscal year." -->> "During Q2, we announced our expansion into the Middle East and North Africa with the acquisition of DMS, or Direct Marketing Services, in the kingdom of Saudi Arabia and United Arab Emirates. What’s most exciting about this developing market is where less than 1% of the $3 billion in advertising spend goes towards the targeted marketing like the services Acxiom provides"
I like that interest expense was down to $5.4million for the quarter from $8.6million a year earlier, due to lower average balance and lower interest rates (to the tune of 1.7%!). 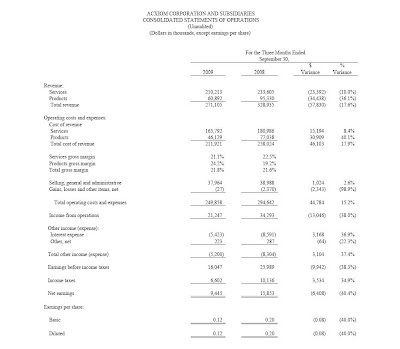 Adding Depreciation and Amortization back to operating income, the company covers its interest expense 11.5 times. Nice. I do NOT like that cash collection was unimpressive. Days sales outstanding (DSO's) were 62, up from 56 in March but still an improvement from last September's 68. Wall Street earnings per share(EPS) estimates for the year ended March 2010 are currently right around my estimate of 50cents. I'm reducing my D&A (Depreciation & Amortization) estimate and boosting my CAPEX (Capital Expenditures) number, which results in me taking my Free Cash Flow estimate down to $120million. Probably conservative, but that's fine. Netting out the $167million in balance sheet cash, this company still has a 17% FCFY (Free Cash Flow Yield). That's a great deal for a company whose operational improvements are largely in front of them. I'm still long the shares, and think they'll head higher. 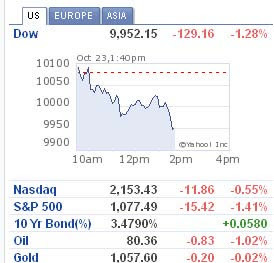 US indexes are all up over a percent, with the DJIA lagging due to number 2-weighted Exxon's(XOM) 1.4% decline. Leading the gainers is Timberland (TLB), up 27% on a big earnings beat. 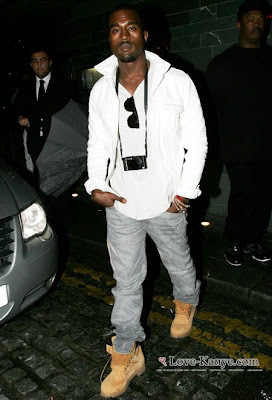 (Modeled by Kanye above). They increased operating income 10% despite a drop in sales. Among losers is FirstSolar(FSLR). Despite beating estimates, multiple firms cut their rating and price target on the stock, expecting continued erosion in ASP (Average Selling Price). GDP rises, as America's credit card cash advance kicked in! Ricky - "Hey, I just added $250,000 to my bank account this month, how cool is that?" Bonnie - "Nice job. But didn't that come from a federal student loan?" That's how a cynic could read this GDP report, which (in its defense) points out where and how the government pumped up industries artificially. By all means, I want to see GDP return to growth and a recovering economy. Note that GDP reporting is usually sequential, as in this September quarter compared to the June 2009 quarter. In most company analysis, results are compared to the year-ago period, so as to adjust for seasonal differences. (You wouldn't compare GapKids' back to school results with, say July numbers, right?) When looked at against last year's 3rd quarter, GDP actually declined 2.2%. I hope that "actual" growth revives soon. But with unemployment continuing to rise and businesses saying that "real" economic activity is still very slow, I do not buy the argument that we're on the cusp of a recovery. A recession is typically described as "a decline in GDP for two or more consecutive quarters." So then it IS accurate to call this the end of the recession. The issue is, what other recessions have been ended by similar government involvement, and is this improvement sustainable without free money for cars and houses? The full report. Worth perusing, especially for the industry detail. Stocks opened higher by about 1% as GDP figures indicate the economy grew at 3.5% in the third quarter. The indexes are all up about two thirds of a percent. WASHINGTON (AP) -- The economy grew at a 3.5 percent pace in the third quarter, the best showing in two years, fueled by government-supported spending on cars and homes. The Commerce Department's report Thursday delivered the strongest signal yet that the economy entered a new, though fragile, phase of recovery and that the worst recession since the 1930s has ended. Many analysts expect the pace of the budding recovery to be plodding due to rising unemployment and continuing difficulties by both consumers and businesses to secure loans." Dow components Procter & Gamble (PG) and Exxon Mobil (XOM) reported earnings this morning. -->> XOM missed by 5cents, reporting earnings per share of 98cents versus the 1.03 expected. Weaker commodity prices and weak refining margins drove earnings below the previous year's quarter. Shares down 1.8%. The weak dollar should help US multinationals with large foreign operations. McDonald's as an economic indicator, and not a positive one in Iceland's case. "As cultural calamities go, there are worse fates than that of Iceland, which is losing all three of its McDonald's franchises, effective next weekend. But the Big Mac's departure from Iceland, a victim of the financial crisis that sent the currency into a tailspin, is nonetheless a suggestive economic indicator. McDonald's Icelandic franchisee noted, in explaining his decision to throw in the patty, that unlike his local competitors, McDonald's imports most of its raw ingredients, from beef to special sauce, lettuce, cheese, pickles, onions and, we assume, sesame seed buns. This reliance on imports has undercut McDonald's margins in the island nation, which saw the krona plummet by more than 80% after the financial panic took down the country's major banks." 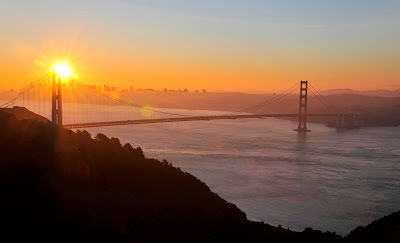 Google's Android phones will offer a free GPS navigation system. "Verizon Wireless is already on board and boasted that its new Motorola-made "Droid" will be the first phone to use Google's navigation system when it goes on sale Nov. 6. Google isn't charging for the service but said it could become ad-supported down the line. The free application receives live traffic feeds and automatically updates maps to keep them current, among other features." "CIT said in a statement that the bondholder loan, which was arranged by Bank of America Merrill Lynch, would supplement a $3 billion loan it received from several large investors in late August. The announcement was made one day before the expiration of a large debt exchange meant to keep the company out of bankruptcy." At today's investor event, Yahoo's (YHOO) new CEO Carol Bartz called the company's 6% operating margin "pathetic." She went on in an apologetic manner, describing a "beginning of a journey back to respect." Activist investor Carl Icahn - still WAY underwater on his YHOO investment - just resigned from the company's board of directors, but re-iterated his total confidence in Bartz at the helm. I would agree with Carol that the company's 6% operating margin is unacceptable, especially with their still-high 58% gross profit margin. 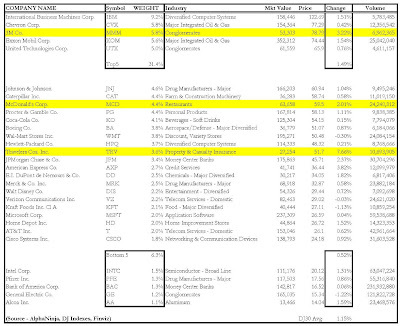 Taking a look at other companies with 6% operating margins shows that YHOO is already afforded "privileged status" on its way back to loftier profits -->> these other firms trade at Price-to-Sales ratios of 1.88, versus Yahoo at 3.58. Yahoo's underperformance versus Google is further exemplified by their respective P/S differences - Google's is 7.5, thanks to its big operating margin near 30%. What the commercial neglects to mention is that Ally Bank is the Internet arm of GMAC, which this morning is requesting a third government bailout. So Ally plays the good guy, by offering rates above the competition - SOLELY due to the government backing them up, because as the "financer" of necessity to the politically connected auto industry, they get all the money they want. US stocks opened just a minute ago, trading lower by about a third of a percent. Goldman Sachs reduced GDP estimates, and GMAC is returning to beg the government for a third bailout. Apollo Group (APOL) - down 15%, weak earnings and an SEC investigation. Following a 2.6% drop in August, durable goods orders rose 1% in September. The report showed investment will probably improve going into 2010. Bookings for non-defense capital goods excluding planes, a proxy for future business spending, increased 2 percent in September and were up 11 percent at an annual pace for the quarter. Union workers at Ford do themselves no favor, voting down cost cuts. In an increasingly bitter confrontation, Icahn has approached smaller bondholders in his competing plan to save CIT. 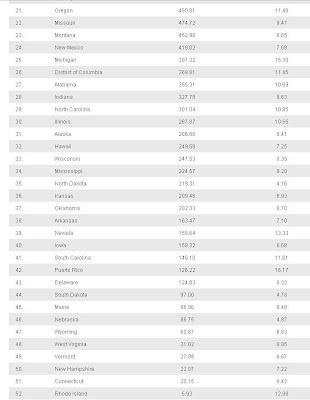 California, the 8th largest economy in the world, pays 1.5% higher interest rates to borrow money than private companies, largely due to weaker transparency. Federal securities laws that exempt states, cities and school districts from disclosure rules that apply to corporations created an information vacuum that doesn’t help states get the favorable terms they deserve, and boosts yields on public debt issues. A 2008 study found that as many as 25 percent of municipal borrowers go three years or longer without giving investors any information. Lavish, irresponsible spending has led Marc Ecko into the arms of Iconix Brands, losing control of his own name brand. "I've had a crazy, wild ride. I've done a lot of things that have been naive," Ecko told The Post. "I'll take my lumps for a lot of things that, in retrospect, were a little indulgent. Life happens. I don't regret any of it." I've written previously about stock buybacks, and whether they're in the best interest of shareholders. Today IBM's board has decided to increase their current stock-buyback program by an additional $5billion. Buybacks, in my opinion, do little if anything for shareholders. IBM management is not in the business of stockpicking, yet here they are using excess cash to buy shares just below 52-week highs. I'm by no means trashing the company -->> IBM's low PE and 10%ish Free Cash Flow Yield are why I don't see the major downside for the Dow30 that others do. That said, management should really only be in the "capital allocation" business at it applies to running the company -->> investing in high ROI projects internally, or buying undervalued assets externally. The number one way they'll boost the value of the company is by increasing earnings and cash flow. The point is, leave the stockpicking to investors. The way to do that is through one time dividends as a way to return cash to owners of the stock. In an excel snapshot below, you can see what changes in a stock buyback. Net income stays the same(except for slightly less interest income on the cash), but earnings per share goes up due to less shares outstanding. So the Price-to-Earnings goes down, making the stock more attractive, right? No not really, as you should have previously "netted out" the company's cash from the stock price. After adjusting for higher EPS and lower cash per share after the buyback, the valuation has not changed. What we're left with to decided is whether management is making a good stock pick. In IBM's case I think the stock is undervalued. But I still would rather they dividend the money back to shareholders, or invest in valuable projects that will increase future earnings and cash flow. To be fair and accurate, Dryships'(DRYS) smart decision to expand into the offshore oil rig segment has helped, as that segment's sales grew 23%, comprising almost 50% of total revenue this quarter. Before expanding into offshore oil rigs, Dryships was exclusively tied to the dry bulk sector, which was on FIRE in 2007, as commodity demand around the world fueled drool-inducing profits for shippers. Expecting demand to rise forever, firms like Dryships borrowed large amounts of money to enter into forward purchase contracts for new vessels, and later had to exit these contracts at large losses. Despite the race to cancel vessel deliveries, oversupply is expected to hurt pricing well into next year. "While drybulk shipping demand is projected to remain strong for the coming years, the large orderbook remains a cause for concern, especially for 2010. Actual deliveries in the first nine months of 2009 were much smaller than were anticipated at the beginning of the year and offer some hope that cancellations and delays will alleviate the projected oversupply." As the tide has turned, Dryships is still operating with good utilization rates, but the tradeoff has been a collapse in pricing. Though TCE (Time Charter Equivalent) rates are up off the March 2009 quarter lows, they're still off dramatically from previous peaks. Per the title above, the one thing exploding at Dryships is shares outstanding. Maybe they'll prove that massive dilution is a better option than a total equity wipeout, which could have been the case as they deal with contract cancellations and debt payments. The problem with their profuse equity-raising is that even if you can accurately model a return to better profitability, you have no idea how many new shareholders to divide that by, as conditions may necessitate more capital-raising. Reuters is reporting that $3.4billion of the stimulus package will be dispersed among 200 electric utilities and related infrastructure firms to upgrade the nation's "smart grid." While this should benefit a huge amount of firms providing services and construction to utilities, one that comes to mind is Itron Inc (ITRI), trading up 6% - despite a down market - on the news. US stocks are up about a third of a percent this morning, clawing back some of yesterday's sizable losses. Tech stocks and the oil majors are leading the DJIA higher, while financials Bank of America and JPMorgan are lagging. While AIG was attempting to get clients to accept 40cents on the dollar for Credit Default Swaps it was on the hook for, Geither and the government boys insisted that they be paid out in full. Using taxpayer money. Not cool. Turning Japanese? The US economy may be following their lead in propping up zombie banks that don't even use taxpayer largess to lend to new customers. With the U.S. government stepping in to keep markets from clearing, today's U.S. economy in many ways resembles the post-bubble Japanese economy of the 1990s. Ultra-loose monetary policy and low demand for credit, combined with high unemployment and consumer deleveraging, could lead to a prolonged slump. Maurice Greenberg, former leader of AIG, is poaching talent from the taxpayer bailed-out firm. If he competes well enough to push AIG into the abyss, the govt response will be interesting. “To me, it’s just going to be a matter of time before the valuation of what he’s building is greater than the valuation of A.I.G.,” said Andrew J. Barile, an insurance consultant in Rancho Santa Fe, Calif.
General Cable (BGC) beat earnings by 2cents this morning, but offered a dismal outlook. BGC makes copper, aluminum and fiber optic cable products, used in various end markets including electric utilities, communications providers, and construction. As can be seen below, each segment showed big drops in revenue. Emerging markets held up better than North America and Europe, especially in terms of operating profit. Looking to the fourth quarter, CEO Kenny sees continued difficulties, especially in areas where growth has gotten ahead of itself. "In the U.S., we expect continuing declines in non-residential construction spending as well as a residential construction market that will recover slowly. These are direct or indirect end markets for many of our products. After over a decade of exceptional growth, Spain continues to suffer from a severe correction in their construction markets and nearly 20% unemployment. We do not expect that this market will return to growth quickly. Finally, with industrial companies in the United States using less electricity for the last two years, we do not expect electric utility spending on the distribution network to increase next year in any meaningful way." The firm cut 4th quarter earnings guidance basically in half, to about 30cents per share. The shares are off 11%, trading at 34.00, so I'd say with the previous high near $80 this stock has discounted a decent amount of bad news. However having jumped almost 400% off the lows of last fall, the stock is likely dead money for a while. Senator Bill Nelson of Florida told Bloomberg that he expects to extend the first-time homebuyers' credit. “We should be able to extend that later this week,” Nelson, a Democrat, told reporters traveling today with President Barack Obama on Air Force One to a speech in Jacksonville, Florida. My argument against this, from the beginning, is that it takes money from one taxpayer to subsidize speculation by another, all thanks to massive lobbying by the National Association of Realtors, and the Mortgage Bankers Association. Last week the Government Accountability Office put out an interim report on the people who've taken advantage of the program. On the low end, how can we expect people making under $25k to be able to pay for these mortgages? And on the higher-end, why are people making over twice the national average salary enjoying a subsidized (by their poorer neighbors) gift for real estate speculation? Aging baby-boomers, until now flush with cash, are expecting to not only live longer, but expect to live longer relatively pain free. Thus goes the logic behind owning shares like those of Symmetry Medical Inc (SMA), a maker of hip and knee orthopedic products, to name a few. 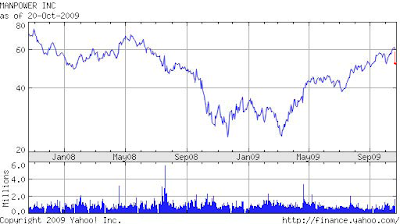 This morning the company guided 2009 earnings down to about 65cents per share, below previous guidance of about 81cents. 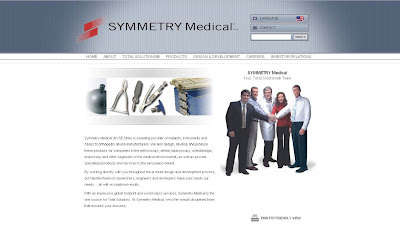 Brian Moore, President and Chief Executive Officer of Symmetry Medical, stated, "In anticipation of a softer overall orthopaedic market in the second half of 2009, we had previously guided for a decrease in revenue and proactively implemented cost adjustments to maintain our earnings goals. Since our previous guidance announcement, and particularly in recent weeks, we have experienced greater than anticipated order reductions. We believe this change in order flow will result in a significant shortfall to our revenue and earnings per share, primarily in the fourth quarter." Mr. Moore continued, "Despite this recent volatility across all segments of the business, we are encouraged by gains in market share we have realized as our customers consolidate suppliers and focus on assuring product quality and supplier stability. Our customers' recent quarterly results highlight their inventory utilization. While this created negative implications for our business in the near term, it should bode well for Symmetry in the future. In addition, our customers have placed a much renewed emphasis on supply chain management and have engaged us in discussions on our contribution to this process. We see these expanding relationships resulting in a mid to long term positive impact on our business. Well, that's the danger of having one client account for 41% of revenues, according to the last 10q filed by Symmetry. That customer might be Zimmer Holdings (ZMH), whose shares are near 52week highs, as their new leaner inventory strategy improves financial performance while hurting Symmetry's. Hopefully Symmetry is accurate in their view that this temporary shakeup among customer ordering patterns will benefit it in the long term - but the market is certainly skeptical, sending shares down 20% today. After a very strong open, the DJIA has dropped 140 points to current lows, down nearly half a percent. JPMorgan(JPM) and Bank of America(BAC) are the worst Dow performers, possibly due to comments from the FDIC suggesting that banks need to be more aggressive about writing down the value of commercial real estate loans. Among gainers today are Vivus (VVUS) and Arena Pharma (ARNA), up on excitement about their obesity drugs. Other biotech names are up due to swine-flu fears. Leading the losers is Privatebancorp (PVTB), down on weak earnings and a (necessary) dilutive capital raise. ....And it only took a "one-for-ten" reverse share split! 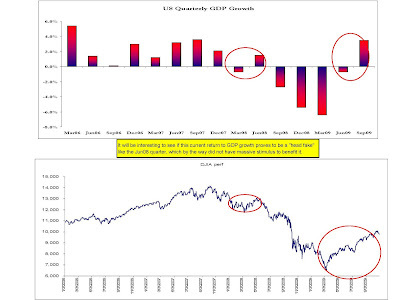 Note the chart below, illustrating Unisys' remarkable feat of sitting out the 30-year bull market in equities(^GSPC=S&P500). Sorry about my sarcasm. IT-services firm Unisys (UIS) shares are trading up over 1,000% to 29.52 this morning, thanks to a reverse split that gives investors 1 share in exchange for every ten they previously held. The rationale is that many big institutional investors automatically "screen-out" stocks under $5 for their portfolios, due in part to commission costs (2-3cents per share trading commission hurts more on a $2 stock than a $26 stock). Just to clarify, a reverse split does NOT change any underlying fundamentals about the company -->> previously it traded at $2.62 and had (estimated 2010) earnings of 20cents per share, now it's at $26.20 and estimated $2.00 per share in earnings = no change in valuation, just shares outstanding. 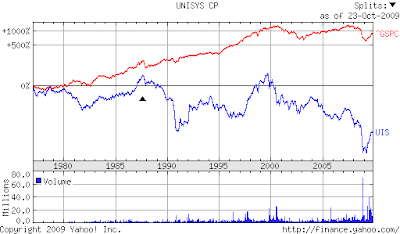 All snide comments aside, recent results have been positive for Unisys. Earnings estimates for this year and next have been creeping up after a few quarters of decent results. Best of luck to them as they attempt to improve upon decades of under-performance. US Stock futures are pointing to a moderately higher open, perhaps following the lead of European indexes. Foreign shares are up in part due to a South Korean report that it's economy grew at the fastest pace in seven years. More transparency is needed with municipal finance, and the "less then financially literate" officials running these operations on behalf of taxpayers. “I thought they were money markets that were just paying more,” Calvanese said in an interview. “Nobody ever used the term ‘CDO,’ and I am not sure I would have known what that was anyway.” Such financial mistakes, often enabled by public officials’ lack of disclosure and accountability for almost 90 percent of government financings in the $2.8 trillion municipal bond market, are costing U.S. taxpayers as much as $6 billion a year, according to data compiled by Bloomberg in more than a dozen states. NYTimes is skeptical about a Comcast-NBC Universal deal. We haven’t seen anything quite like it since the merger of Time Warner and AOL. And that turned out well, right? Jeffrey Bewkes, the chief executive of Time Warner and a major competitor to both Comcast and NBC Universal, has seen this movie before and is glad his company is not the star this time. Ever since he took over the company, he’s been busy trying to undo the merger, spinning off the cable division of the company and planning to do the same with AOL. “Somebody has finally noticed that these things don’t work out so well,” Mr. Bewkes said at a media conference this month, according to Peter Kafka, of the blog Media Memo at AllThingsD. “We love to see our competitors taking risks. Economist Andrew Smithers sees 40% downside for the S&P500. “Quantitative easing has set off another sharp, and so far containable asset bubble,” Smithers said. “But if it gets too high and starts to come down then we’ll go straight back” into recession. The economist said that he stopped buying equities in the 1990s because ofexpensive valuations and began purchasing them again only for a brief period during the lows of the current crisis. Google's Android operating system is encroaching big time on Microsoft's Windows Mobile clients. Cellphone makers that have used Windows Mobile to run their top-of-the-line smartphones — including Samsung, LG, Kyocera, Sony Ericsson — are now also making Android devices. Twelve Android handsets have been announced this year, with dozens more expected next year. Motorola has dropped Windows Mobile from its line entirely in a switch to Android. HTC, a major cellphone maker, expects half its phones sold this year to run Android. Dell is using Android for its entry into the cellphone market. Last night Amazon (AMZN) beat earnings handily, reporting EPS of 45cents versus the street's expectation of 33cents. Shares are up 26% today to $118, on volume of 46million shares with over an hour left before close. Crazy. While many companies have reported weak top-line (revenue) numbers and relied on cost-cuts to boost earnings, Amazon's $5.45billion in sales was almost 10% higher than anticipiated -->> an impressive beat for such a large company. Investors were thrilled with Q4 revenue guidance of $8.1-9.1billion, the midpoint of which is well above the street's expectation. Kindle was a massive contributor to earnings growth, although the company did not break out details of units sold. They did drop the price slightly, as competitors are approaching the market at cheaper price points. The valuation is what keeps me away from this stock (apparently to my detriment!). Analysts are falling over themselves today increasing their price targets, many in the $130-150 range. They're citing a deserved "premium" due to the firm's growth opportunities and superb execution. No argument there from me, but WHAT premium is appropriate? The S&P500 trades at a forward PE of about 16. I'll boost Amazon's 2010 eps estimate to $3.00, from the current 2.19. Netting out their $9 per share in cash, that's a PE of 35!! So right now their premium to the market's valuation is 123%, and the $150 price targets imply a 47 PE or 193% premium. Maybe that's fair, but it's far too much of a guessing game for me. If you told me that Amazon was up 25%, Microsoft was up 7%, and the DJIA was off 130points I'd laugh at you, but that is the case today. Among the losers are multiple companies that are beating earnings estimates, but the stocks are lower. Kind of a "sell the news" reaction, after huge jumps in share prices have discounted much of the good news. Seriously, I think they're trying to be funny. The front page says that $14.6billion has been awarded, saving 30,082 jobs. The math on that should scare the hell out of anyone. Colorado seems to be in the lead with 4,695 jobs. Rhode Island saw 5.93 jobs saved or created. Five point nine three. Such robust results! But sadly, we've seen the "bulk" of the help from stimulus spending. "Christina Romer, the chair of President Barack Obama's Council of Economic Advisers, said Thursday that the $194 billion already spent gave a jolt to the economy that contributed to growth in the second and third quarters of the year. She told a congressional panel that by the middle of next year, the impact of the stimulus will level off. Romer said spending so far has saved or created 600,000 to 1.5 million jobs but warned that unemployment will remain high, above 9.5 percent, through the end of 2010." I'm confused. 30,000 jobs saved or 1.5million? 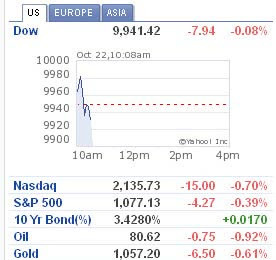 Another day, another higher close for the DJIA. The index cruised higher today, up 128points to reclaim its >10,000 mark. Three components reported earning before the open. -->>3M, almost a 6% weight in the index, beat revenue and earnings estimates, sending the stock +3.2%. -->>Travelers was the standout, with it's 7.6% jump responsible for over a quarter of the whole move in the index. The company beat by 30cents and raised full year guidance. Also helping the DJIA today was "where" the outperformers were, in terms of index weight. The top five, accounting for 31% of the index, were up 1.5%, while the bottom five, accounting for only 6%, were up just half a percent. 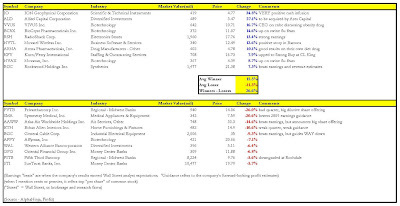 The point being, the outperformance was where it counted, in the stocks that mattered most. The only negative is that, as has been the case for much of this rally, volume has been unimpressive -->> as in the move upwards is tentative. 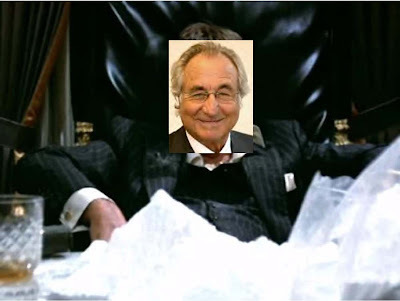 The complaint alleges that some employees and investors were aware of the drug purchases, and that BMIS [Bernard Madoff Investment Services] was known by insiders as the "North Pole" in reference to the excessive amount of cocaine use in the work place. Shop Rock.com for all your official Rock band t-shirts and gear. Over 15,000 items in stock every day! A BIG disparity between the DJIA(+.4%) performance and that of the Nasdaq (-.4%). Travelers is up over 5%, boosting the Dow, but it's not a Nasdaq component. Also helping the DJIA but not Nasdaq are IBM, 3M and McDonalds. After huge stock runs the last few months, it's interesting to watch reactions to earnings. Companies that are beating estimates are actually DOWN 10% in some cases, as the market gave them credit for earnings improvements before the actual results came out. This morning's earnings releases from steelmakers Nucor (NUE) and Reliance (RS) are unpleasant, but important gauges of "real" demand in the industrial sector. After they both beat earnings estimates, the stocks are down about 3% due to cautious outlooks. The companies point out that 3rd quarter results have rebounded nicely off dismal second quarter performances, but the comparison of 2008 vs 2009 3rd quarters is awful. 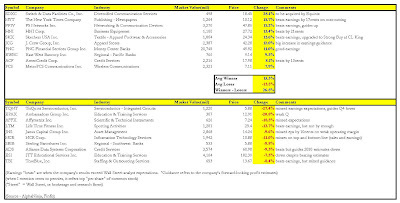 Both companies view the sequential earnings improvements (Sept09 versus Jun09) at least partially due to customers re-stocking unsustainablly low levels of inventory. This improvement itself, is unsustainable, and is why the companies' forward-looking outlooks are very tempered. Says Reliance - We are pleased with the significant improvement in our gross profit margins; however, we are uncertain as to business activity in the 2009 fourth quarter. Although we believe that demand is fairly stable at low levels, the fourth quarter is typically seasonally slower for us. Pricing also seems to be more stable than it was earlier in the year; however, we believe there may be some slight downward pressure on pricing for many of our products in the coming months. Because of this, we are not comfortable providing earnings guidance for the 2009 fourth quarter. Says Nucor - Our view remains that there has been little improvement in real demand and the uncertainty in our economy is still very high. We also continue to believe that real demand is in for a long, slow recovery. I previously mentioned that the materials companies were among firms saying that outside of government stimulus there was very little "real" activity going on. The steelmakers may be confirming that. US stocks are pretty flat a half hour into trading. Jobless claims were slightly worse than expected, at 531k versus the 515k consensus. Earnings are generally coming in ahead of estimates, but after big gains it's taking pretty impressive out performance to drive shares higher. 3M, McDonald's, Travelers and AT&T are the standout gainers in the DJIA, thanks to better than expected earnings. Caterpillar (CAT) is off 2.5% -->> investors displeased with the choice for CEO? JCrew (JCG) increased earnings guidance significantly for the upcoming 3rd and 4th quarters. While sales are better than anticipated, gross margins will be much higher than in the previous year. JCG is taking 3rd quarter EPS from 31cents to about 57cents, and shares are reacting well, +11%. China claims its economy grew at 8.9% in the 3rd quarter, but stocks are down today as people worry that the government will pull back the reigns on the giant stimulus propping up multiple asset classes. The dollar headed higher and Asian stocks dropped on concern that the acceleration in China’s growth will spur policy makers to consider withdrawing record fiscal and monetary stimulus in coming quarters. Qin Xiao, chairman ofChina Merchants Bank Co., this week said it’s “urgent” for the central bank to tighten policy to avert asset-price bubbles. NYTimes discussing the environment facing SPACs (Special Purpose Acquisition Companies), or what they call "poor man's private equity." The news here is not so much that staffing giant Manpower(MAN) reported dismal results, but more that the company still has a $4billion market value?!?! It's been falling as I write this. With unemployment increasing worldwide (which is key, as Manpower has operations all over the place), it's pretty amazing to take a look at Manpower's stock price during the last 2 years years. It's down today, but still closer to highs than its lows. After years of following this company, I still find its geographic "footprint" to be interesting. Revenue from French operations accounts for 31% of the company total, while North America contributes just 10%. In Europe, where firms face hurdles trying to lay off employees, companies instead shutter factories for weeks or months, hurting Manpower's temporary staffing business. With layoffs they could at least make money helping jobseekers find work elsewhere. Notable on the conference call was a question about whether the company was "walking away from business"-->> meaning were they passing on contracts where the terms were unattractive or even unprofitable. Managements usually respond to these questions in a "proud" tone if you will, pleased to tell investors that they turn down low-or-negative margin business. In Manpower's case, it feels more like a desperate industry attracting lowball bids, which is not good at all. Management said that an example would be a current client offering an extra $5mil contract on top of the current business, but at awful margins. Manpower is turning this down, but obviously a hungry competitor is taking their place -->> there's a good chance in many of these instances that this new competitor will take the "base" contract as well. Also concerning is management's lack aggressiveness on cost controls. Faced with trying economic environments, some companies cut costs with a laser-like focus, intent on providing cash flow to investors. Manpower seems to be acting more in a reactionary stance, saying they're "waiting for improvement." But will it come to this industry, which could be facing long-term pricing declines? Manpower has interest expenses of $29million per quarter, and is only earning (on a cash flow basis) about $66million to cover that quarterly -->>not very healthy if you ask me, but manageable if it doesn't get worse. On to the valuation, which is a horror flick in and of itself. December 2010 earnings per share are estimated at 1.22, for a price-to-earnings of 43. That is exorbitant, but I'll give them leeway as we're in a depressed environment. Even if I look around and try to "back into" this share price (trying to justify it), it's tough. Earnings at their PEAK were 1.81 per share, so we're trading today at 28times that number. Still too expensive. Free Cash Flow is substantially higher at Manpower due to big depreciation charges, and it peaked at (generously) $485million, which would be an 11.6% FCFY (Free Cash Flow Yield) on today's market value. That's "would be," because I don't expect the company to ever earn that again. This stock is WAY ahead of itself, and despite the 13% drop today it could have further to fall. Stocks are holding onto gains 2hours into the day, with the Dow +43points on the back of the two oil majors (XOM, CVX). 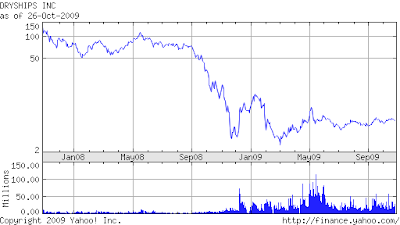 Among gainers is Mankind (MNKD) -->> Griffin Securities' new price target of $26 is 381% above yesterday's close. 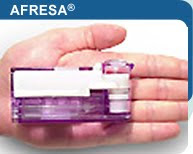 They think the firm's Afresa inhalable insulin will revolutionize the way diabetes is treated. US Stocks opened higher after healthy earnings reports from Yahoo (+4%) and Sandisk(+8%), to new a few. 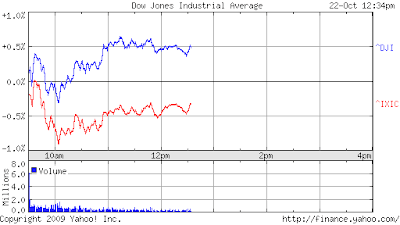 The DJIA is up 50points or a little over half a percent, with American Express and Dupont leading the way. FROTHY! Did you know Apple is now worth more than General Electric, Procter & Gamble, and Google? Steve Jobs is officially the king of Silicon Valley. The Apple CEO snagged the title yesterday when shares of Apple soared to a new yearly high and helped Apple's market cap sail past search-engine giant Google for the first time, reaching $179.3 billion, vs. Google's market cap of $174.3 billion. The stock run-up came amid a buying frenzy after Jobs pulled off another seemingly improbable feat of posting blockbuster results that even beat Wall Street's best estimates. Among defense arguments for Raj Rajaratnam might be the issue that insider trading LOST him more money than it made him. The press releases from the Securities and Exchange Commission highlighted about $20.6 million in alleged insider trades that worked. But The Times report indicates that one particularly bad series of 2008 trades involvingAdvanced Micro Devices Inc. more than wiped out that amount of money, losing Rajaratnam's Galleon Group more than $30 million. As the USA debates how much debt our economy can service, Japan faces even higher indebtedness. Despite roars over domestic artificial stimulus, China may be in more of a pickle. The country’s rebound has been powered by 4 trillion yuan ($586 billion) ofspending on railways, roads, power plants and public housing. The program ends next year, forcing Premier Wen Jiabao to find new ways to sustain the expansion with increased consumer spending and the financing of small businesses. One lender suggests we not aim anger over this mess at ALL banks. The danger is that we will punish healthy banks for the sins of failed banks. Most bankers have behaved responsibly throughout the crisis. This is the wrong time to tie their hands. Instead, we need these banks to get back to their chartered roles: to provide financial resources to consumers and businesses — large and small, new and old. But who wants them? Dubai, the country built as a mega-resort, thinks it can just sell more debt to repay existing. So irresponsible, do they think they're US? The cost of protecting against a default on Dubai’s bonds for five years has fallen 70 percent from a two-year high in February, ranking it between Lithuania and Lebanon, data compiled by Bloomberg show. A successful repayment of the Islamic bond, on which investors were concerned Nakheel may default after a slump in property prices, will make it easier for banks to reschedule $12 billion of Dubai World’s debt that mature during the next three years, the bankers said. Brazilian shares are off significantly today, after a Monday afternoon announcement of a possible transaction tax to "curb speculative investment." Good job, idiots. They successfully "curbed speculative investment" today, with shares off about 6% and billions in wealth destroyed. 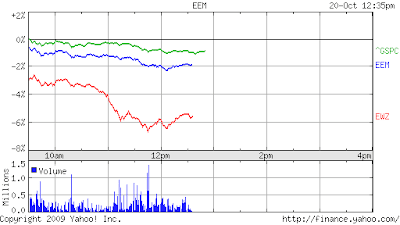 The ishares Brazil index (EWZ) is off over 5%, dragging down other emerging markets indexes while the S&P500(^GSPC below) is down only a little. At this points, India is the one with the least issues. Brazil just fired the first shot across the bow of potential investors. Russia is a declining petrostate with a mafia-like government. Speculation abounds that China's "stimulus" simply gave banks money to shove into the stock market, creating nothing but another bubble to burst. -Component costs increased less than expected, helping the company report gross margins of 36.6%, over 2.5% higher than Apple's own estimates. -Ipod sales down 8% to 10million units, as iphone cannibalizes sales. -Iphone sales of 7.4milion showed a 7% unit growth year-over-year. "In accordance with the subscription accounting treatment required by GAAP, the Company recognizes revenue and cost of goods sold for iPhone™ and Apple TV® over their estimated economic lives. 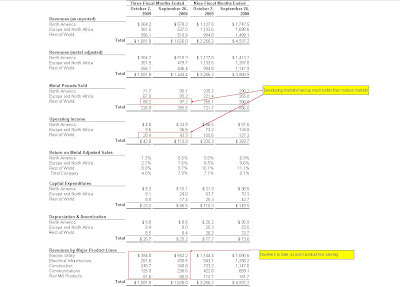 Adjusting GAAP sales and product costs to eliminate the impact of subscription accounting, the corresponding non-GAAP measures* for the quarter are $12.25 billion of “Adjusted Sales” and $2.85 billion of “Adjusted Net Income." Due to the soon-to-be reversed accounting treatment for certain Apple products, the company must recognize revenue and costs for iphone over an extended period, even though CASH FLOW comes immediately. The effect is that "true" net income is 71% higher than the $1.67billion reported. Apple in typical fashion sandbagged forward guidance (guided too low). -->> Deutsche Bank raises earnings estimates, and takes the stock target to $250 from $225. -->> Kaufman target increased to $235 from $214. Looking to 2010, earnings are estimated at $8.50 per share, pointing to net income of $7.8billion. 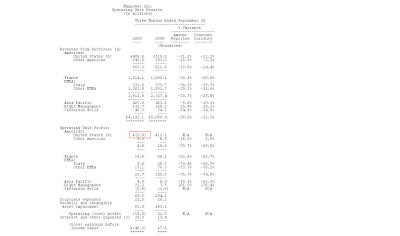 I estimate Free Cash Flow for 2010 of $11.9billion. Apple could trade at a FCFY(Free Cash Flow Yield) of 7% in a better economic environment, and adding to that the $37 per share of cash they have, the stock would trade at $224, or about 12% higher than where it is today. To get to a higher number, you have to believe that Apple will continue to blow away earnings estimates, earning closer to $10 per share in 2010. I wouldn't bet against it. US Stocks are slightly negative this morning, despite some better than expected earnings. Even the Nasdaq 100 (QQQQ) is struggling to hold gains, despite 14%-weighted Apple's enormous results last night, pushing that stock near all-time highs in early trading. Pfizer(PFE) and Caterpillar(CAT) also beat estimates and are trading higher. Coca-Cola (KO) missed earnings and is a drag on the Dow, as is UTX. WSJ op-ed on the tragedy of Michigan's economy. State lawmakers will soon face large budget deficits again, perhaps as much as $100 billion across the U.S. Here's some free budget-balancing advice: Steer clear of the Michigan model. The Wolverine state is once again set to run out of money, and it is once again poised to raise taxes even as jobs and businesses disappeared. Worried about current policies, short-selling whiz David Einhorn is long gold. he decided to invest in gold, even though futures hit a record price of $1,072 an ounce last week. Gold does well when "monetary and fiscal policies go awry," said the hedge-fund manager best known for shorting toppled investment bank Lehman Brothers. Specifically, Einhorn trashed the team's "too-big-to-fail" policy requiring taxpayers to prop up large, troubled institutions, like banks. Not sure this is something to cheer, but Delaware court rulings may lead to more management-led buyouts. One of the relics of 1980s deal-making was the large management buyout — such as the bid for RJR Nabisco — which has since seen its demise. But a recent decision in the Delaware Court of Chancery in the case of In Re John Q. Hammons Hotels, has the potential for bringing about a revival of this deal form. After a massive insider trading bust, NYTimes examines the (sometimes) thin line between aggressive research and insider trading. Some investment funds canvass doctors to scout out blockbuster drugs. Others pay meteorologists to forecast weather that will affect the price of oil and wheat. And still others hire corporate executives to provide an inside view of companies and industries. But now some of Wall Street’s biggest hedge funds are watching nervously as prosecutors say thatRaj Rajaratnam, a billionaire fund manager, went too far in this relentless quest for a trading edge.